Got some unused wall space at home? Change it into an airy entranceway from your balcony, courtyard or backyard. How? Just use the Innovative Aluminium & Glass’ Bifold Door that maximizes the width of a door opening so that your home feels larger without costing you a bundle. The bi-fold doors we offer open fully and all the panels stack on top of each other so they don’t block the thoroughfare between your outdoor and indoor space. These doors are well liked by people who love open spaces and like to entertain people at homes. When not in use, these doors can be stacked discretely as they have no obstructing frames or beams. This feature ensures that there is enough ventilation and gives you the liberty to move them out of the way to create a wide open space when you feel like being with nature or you are entertaining many people at home. The bi-fold doors we offer are a combination of the unbending strength of heavy duty aluminium profiles and hardware technology. They let you enjoy the feeling of bringing the outside indoors. All doors can be installed with fly screens. The level handle releases top and bottom locking bolts with a single action. To get more information on these incredible doors and their configurations, you can feel free to get in touch with our team. 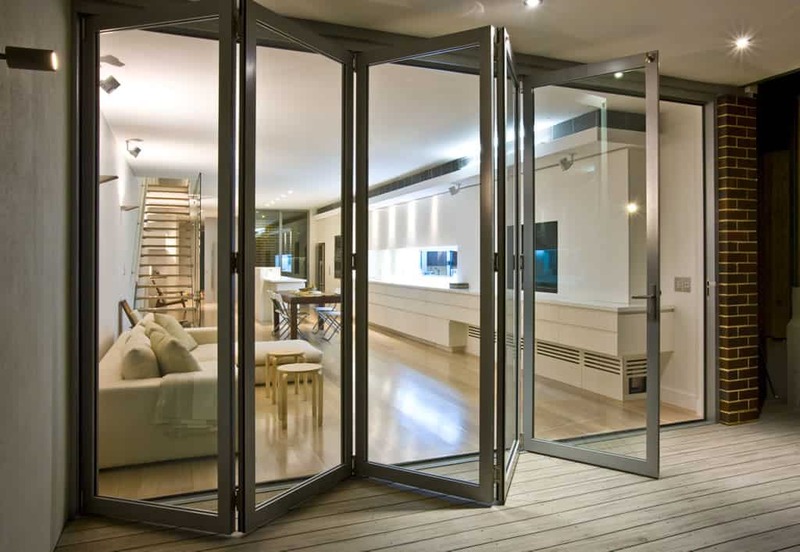 We would be happy to clear your doubts and conduct a meeting with you regarding the installation of these bi-fold doors in your Sydney home. Click here to check out different types of doors that we provide.